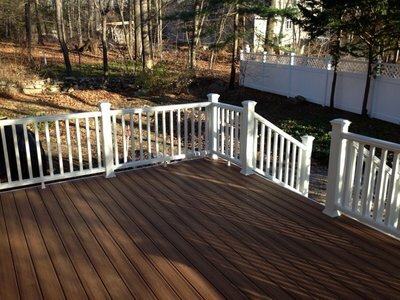 Looking for Bridgewater, Connecticut Deck Contractors? Creating or updating your outdoor living space requires careful planning and skilled builders. Deck building in Bridgewater, CT also requires a knowledge of local building codes and plenty of experience with local customers. Allure Home Improvement & Remodeling, LLC has built and repaired decks in Bridgewater for years, helping countless customers transform their vision into a personal backyard oasis. 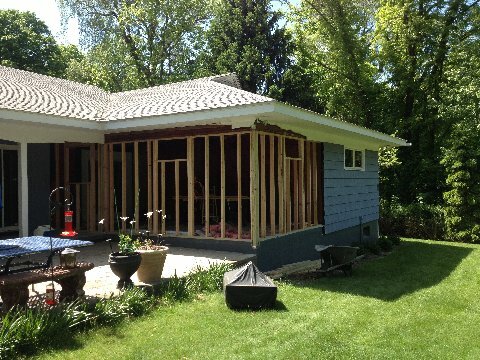 Every Bridgewater deck renovation project has unique challenges, from grading issues to weather exposure and house footprint. We can help you develop a design, or work from your existing plan. Allure Home Improvement & Remodeling, LLC works with homeowners in Bridgewater for deck repairs and deck installations that are second to none. The highly experienced Bridgewater deck repair specialists will assess your decking situation and develop and economical plan for renovating it. We'll look for rotting and splintered wood and warning signs of declining structural integrity. From there, Allure Home Improvement & Remodeling, LLC deck experts will provide a fair quote for making the necessary repairs, or tearing it down and building anew. You can rest assured that your Bridgewater deck will be repaired using only top grade materials and finished to the highest standards of safety and appearance. Allure Home Improvement & Remodeling, LLC prides itself in providing premium service at an affordable price. Increase the value of your home and enhance your lifestyle with custom designed and expertly built deck from Allure Home Improvement & Remodeling, LLC. We have a long list of satisfied Bridgewater deck construction customers, and would love to add you to it, on time and within your budget with a custom built deck from Allure Home Improvement & Remodeling, LLC. Allure Home Improvement & Remodeling, LLC is the leading Bridgewater, CT deck building contractor, offering custom deck designs and professional installation at reasonable prices you can afford. Take the next step towards your dream backyard and call Allure Home Improvement & Remodeling, LLC at (203) 212-8252 to book your free estimate.